First off, I guess I need to clarify a few things. More than one person was a little confused about my Facebook post concerning January 22, 2009. 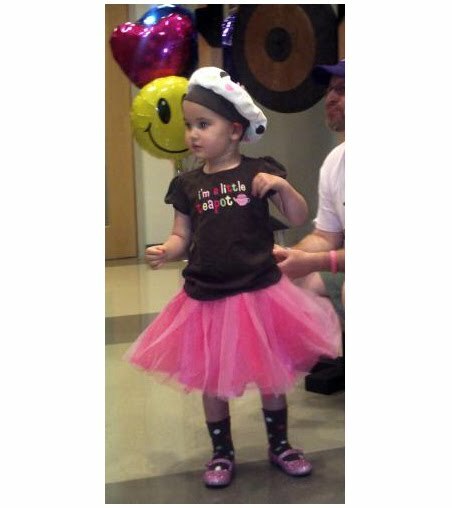 That was the date of Charlotte's first surgery to debulk the tumor in her brain. 6:30am was about when they started getting her ready. Aunt B mentioned CJ doing her princess wave as we walked by the 7th floor lounge at MCV. I had almost forgotten that. I was so freaked out inside that my head was feeling fuzzy (the way it does when I REALLY get upset). I remember feeling that I needed to keep it together as we walked down the hall to the elevators. I'd seen this scene before in countless movies and TV documentaries wondering which way the dramatic shoe was going to fall at the end. (Does my life completely revolve around mass media!?) The real terror is light years worse in person, believe me. Down in the pre-op area was where Mommy sang Frosty to her just before they wheeled her into surgery. I remember shaking inside. Not shivering like being cold but more like a constant vibrating; like there was a humming going on inside me. Weird, I know. I also remember feeling so completely helpless. So that's what Jan 22, 2009 was all about. On to other things...It's great to commemorate, bad to dwell. "Yesterday was halfway decent, considering... Spiritually, musically, financially, geographically, gastronomically... I'll do a full blog post later today but I just got back form Shepherdstown, WV and I need sleep." Can't believe I could even type at that point. Spiritually - I was ready to be very mopey, grumpy, and unhappy all day yesterday. Just didn't happen. I thought about Charlotte all day and had a "moment" on the road just south of Shepherdstown, WV but for the most part, I was moderately cool. Because of circumstances I'll go into later, I drove myself up to the gig. I ended up taking Highway 340 into Shephardtown which unexpectedly found me in Harpers Ferry. I was inspired and pulled up "Tom Burleigh's Dead" by Eddie From Ohio. I think I listened to it 4 times in a row. Perfect! Here: You should too! :-) OK So it's only a snippet - Go buy it for Pete's sake! By the way...what a GORGEOUS area of our country! To close out the musical portion of this epic, here is a message I got from Julia Dollison. Though you'd might like to see it. Kerry and I just finished tracking a cappella vocals for his transcription of Keith Jarrett's live (improvised) solo piano recording of "Radiance 8" (commissioned by Long Beach Poly). I added lyrics to it this past fall, but now that we're finally laying it down, it occurs to me that they're really about CJ. Sometimes in her sleep, she smiles. Is she dreaming? is she far away? Sometimes in her sleep, she laughs. Is she happy? does she wish she could stay? and you hold her and pray. Things we dream about never make much sense. as long as you're by her side. She awakens to find you were there all the while. With a smile, she returns to her dreams." Beautiful. I'll leave you with that for now. More later. And that segueway (commemorating vs. dwelling) reminds me of a favorite quote from Michael Durant (the pilot from the 1993 "Black Hawk Down" incident in Somalia). On dealing with his terrible experience there, he says, "Look back, but don't stare."